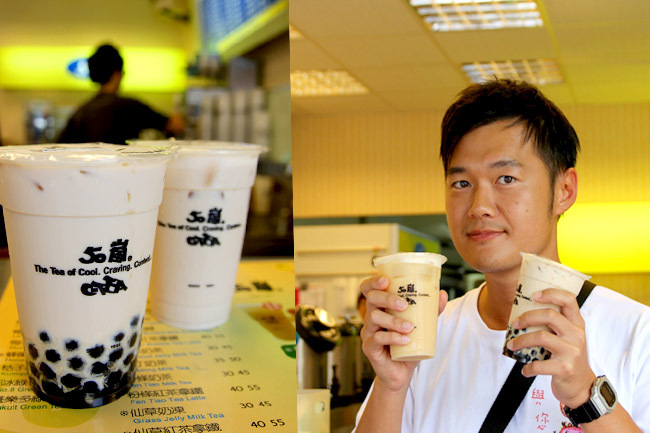 [Taipei, Taiwan] Some of my friends who travel to Taipei were asking, “There is NO KOI in Taipei!” In case you do not know why that shock, KOI is one of the most known bubble tea brands in Singapore. Nothing beats having your favourite drink from where it origins. They are about right. There is NO KOI in Taipei (maybe only in Taichung)… but the brand is known as 50 Lan (50嵐) over there instead. 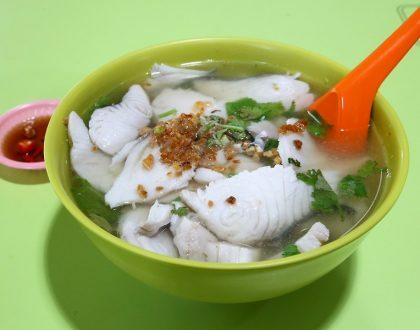 It was marketed as KOI in Singapore – good move as it has a more hip and contemporary vibe to attract local youths. 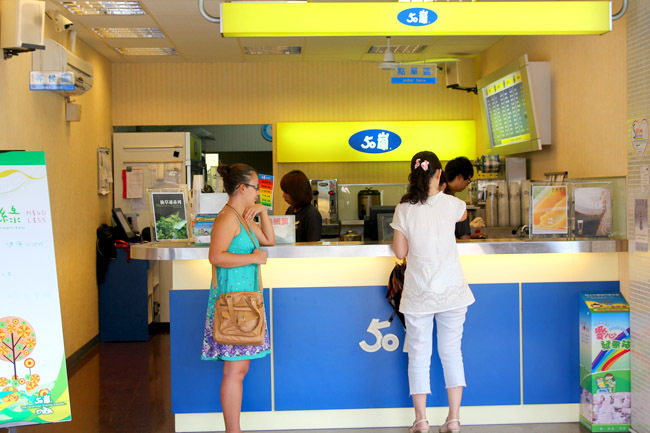 Look around the streets of Taipei and 50 Lan’s popularity will be obvious – bright yellow signage with sky blue logo. The number of branches they have is perhaps coincidental… 50 in total. 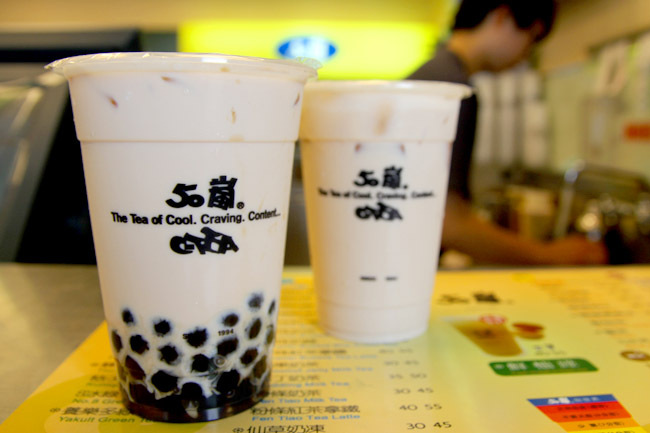 It is not be exaggerating to say that out of every 20 shops you see in Taipei (especially near the night markets), one is a bubbletea/beverage/fruit juice/jelly-whatever-drink place. 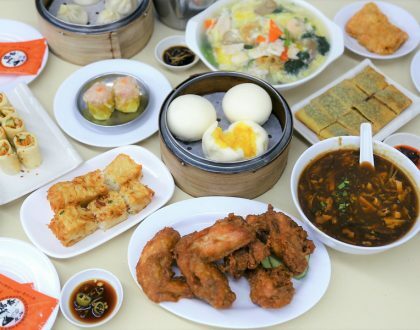 50 Lan started way back in 1994 as a humble beverage and fruit juice stall which also sells those giant bigger-than-your-face fried chicken cutlets (salivating for Hao Da Chicken Culet now). There is no special meaning to its name, gotten when its owner Mr Ma was touring Japan and thought 50 Lan has a ring and is easy to remember. 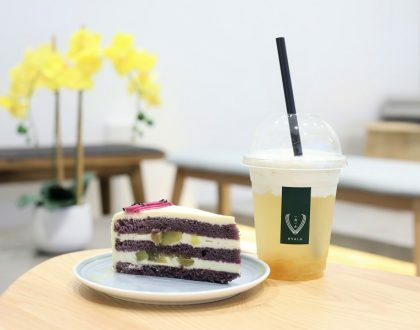 There are 5 main categories sold – tea, jelly, milk tea, juice and latte, with more than 100s of different permutations and combination of drinks you can think of. 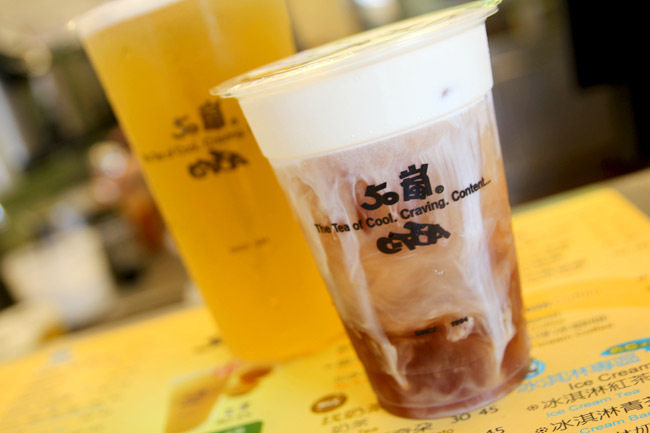 Some of my personal favourites from 50 Lan: the creamy sweet Hazelnut Milk Tea (NT$35, $1.50), layer frothy Black Tea Macchiato (NT$35, SGD$1.50), refreshing light Mango Baozhong (NT$30, SGD$1.30) and superb drink-it-fast Ice Cream Tea (NT$30, SGD$1.30). All the drinks are very reasonably priced, most below $2. 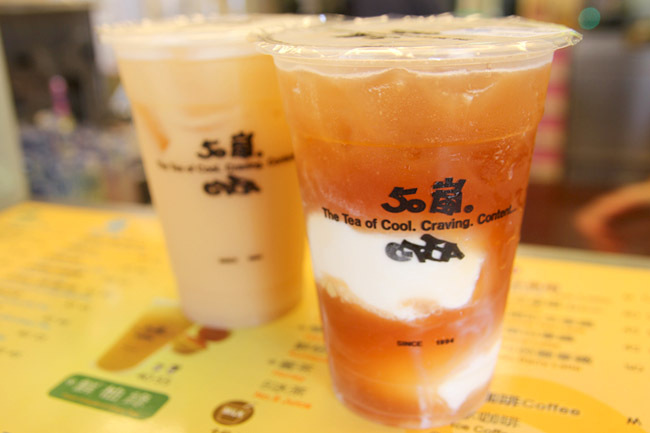 Do not leave Taiwan without trying a milky smooth tea-fragrant 50 Lan bubbletea. Go easy on them though, think about your waistline. Had a cup? How is it? Do you know by chance if they offer discounts like many other beverage chain stores if you bring your own eco-cup? Thanks. Not that I know of. Becos bubble tea comes in specific sealed cups. Can you tell me the exact address of KOI (50岚) ? I’m in Xi-men ding, how can I get there? Can i ask you , who’s owner of this brand? This is such a great post! Thank you for sharing your insight and more about KOI’s parent company. I am interested in becoming a franchising partner with 50 Lan and hope that you are able to connect me to the right people. Hi ms ma, i have interest for get franchise, can send detail to me? i love it, perfect this summer. how much for franchise in the phil. ?